Steve Talbott was exposed more early than most to computers, due to his job as a programmer and technical writer. His background in philosophy and technical understanding of the machines with which he was working allowed him to be more reflective than most. 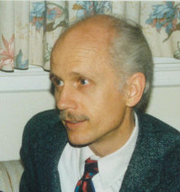 In 1995 he wrote the pioneering critique of the effects of digital technology, The Future Does Not Compute: Transcending the Machines in Our Midst, and he has since produced more books, on biotechnology. Since 1995, he has produced NetFuture, an online newsletter about technology and human responsibility which the New York Times has called an "undiscovered national treasure". He is now devoted to the establishment of a qualitative, rather than quantitative science, and has been focusing on evolution. Steve Talbott is currently considered a "single author." If one or more works are by a distinct, homonymous authors, go ahead and split the author. Steve Talbott is composed of 2 names. You can examine and separate out names.